Shree Ganesh Chaturhty (Ganeshotsav 2010) | Mandar Apte - UI, UX, Logo, Symbol, Brand Identity, Graphic, Web & Animation Film Designer from Mumbai, Maharashtra, India. 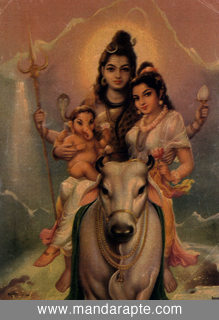 Thank you for sharing this beautiful picture of Lord Shiva, Parvati and Ganesh. Could you please tell me where can I find the print of this painting?